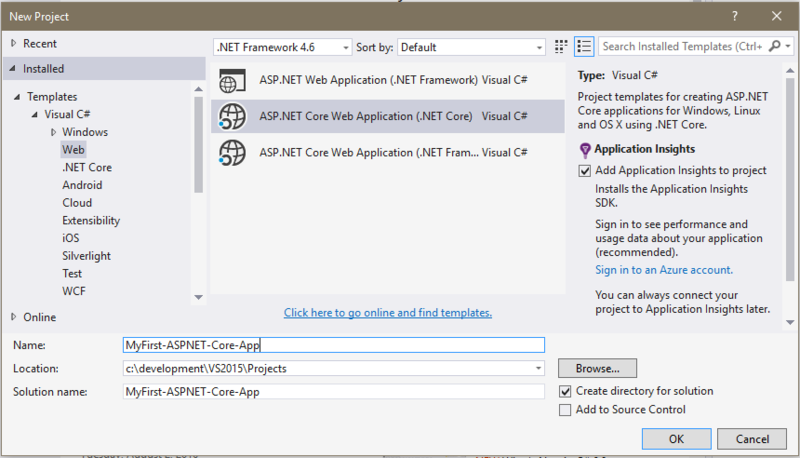 In my previous article, I discussed about What is ASP.NET Core 1.0 or Understanding .NET Core 1.0 Framework , ASP.NET Identity Authentication - User Login and Registration Form and Understanding ASP.NET Identity . Cross-platform: Application can run on any platform i.e. Windows, Mac and Linux. Open source: Now .NET Core platform is open source and under MIT and Apache 2 licenses. Flexible Deployment: Application can run on any other web server like Nginx or can be included in your app or installed side-by-side. Windows or other supported operating system. 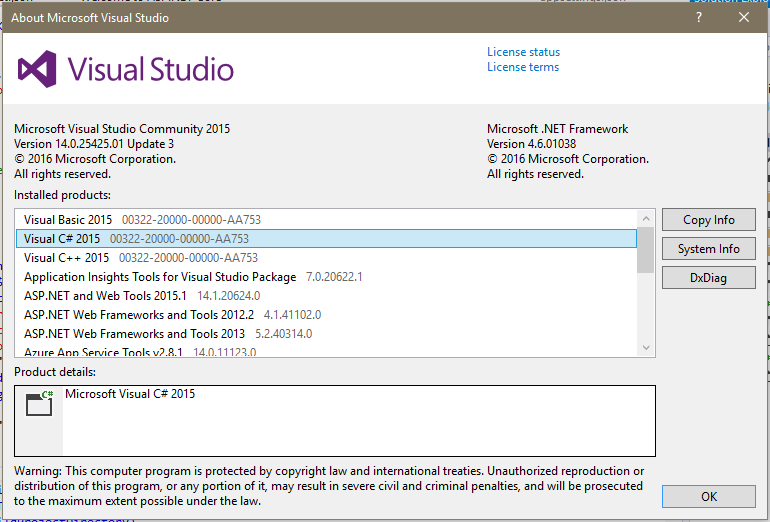 Visual Studio 2015 Update 3 or later. 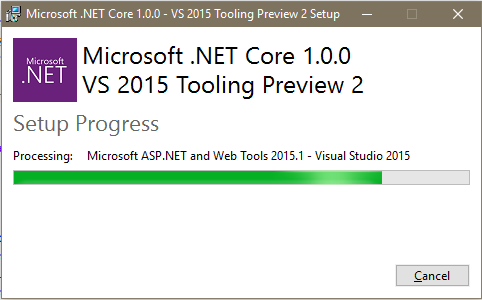 .NET Core Tooling Preview 2. While installing the .NET Core Tooling Preview 2 for Visual Studio 2015 you may experience that you may blocked from installation. But don't be panic it's because of a temporary bug. You can run .NET Core Tool with command line by providing SKIP_VSU_CHECK=1 argument.